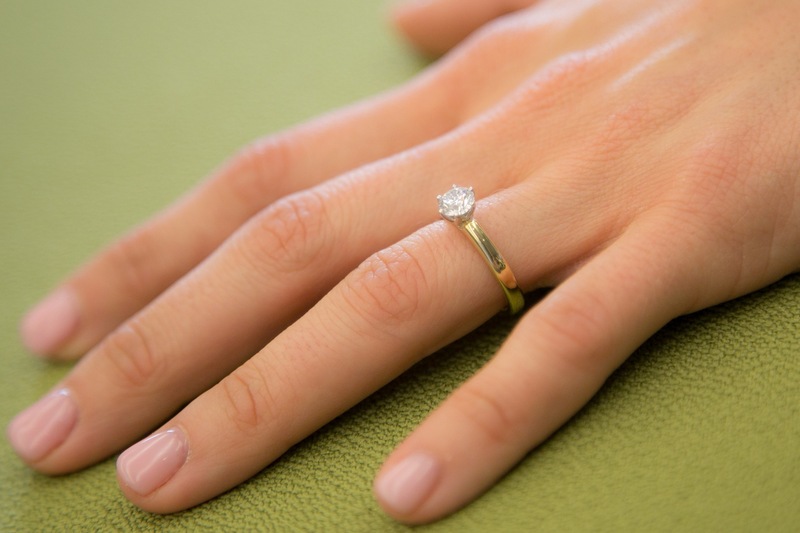 If you are shopping for an engagement ring and want it to be a surprise, you are probably asking yourself, how do I choose the right setting? We’ll help guide you through the process to put you at ease and confident in your choice. If you consider her lifestyle and her tastes – which probably won’t be too different from yours! –you’ll make the right decision on her engagement ring setting. Consider her lifestyle – is she active or athletic? How does her work require the use of her hands? Take time to notice the jewelry she wears – is it simple or intricate? Does it appear modern, antique or traditionally classic? Note the metal choice of the jewelry she wears – white gold, yellow gold or platinum. Pay attention when she admires someone else’s ring or photographs of rings. Ask her friends or family what she likes. Bring us one of her rings. Try one of her rings on your finger. Push it down as far as it will go and mark the spot. We’ll measure that spot for you. Ask a family member or friend. 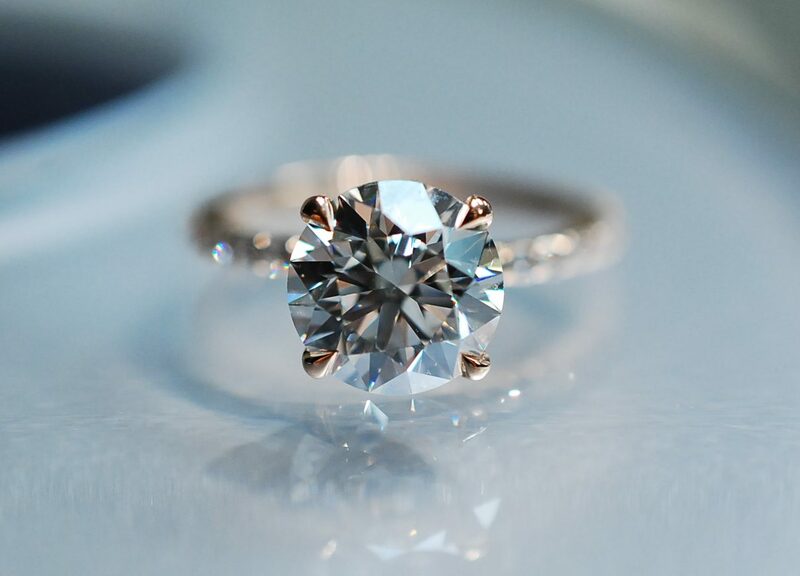 The traditional diamond engagement ring, the solitaire is the most popular for a variety of reasons. 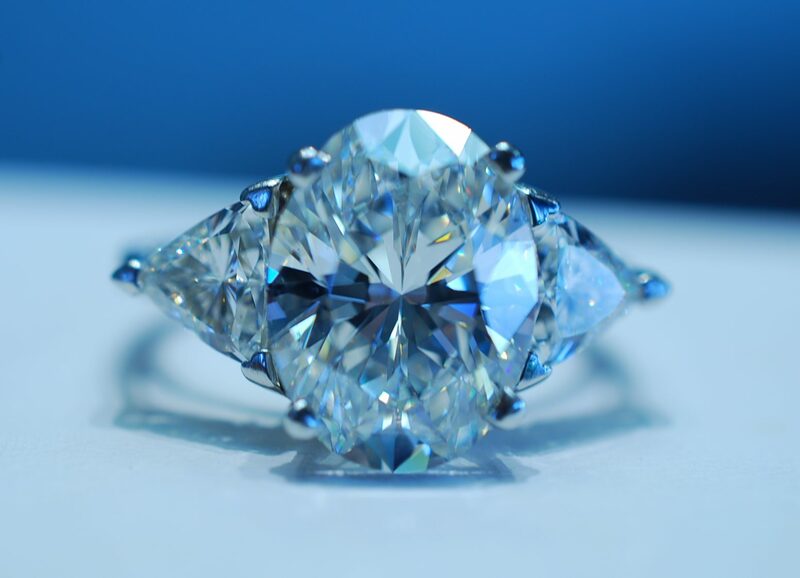 The diamond is cradled by prongs, usually four or six, which allows the maximum amount of light to enter the stone from all angles, enhancing the natural brilliance of the diamond, sometimes even making it appear larger. Classic in its simplicity, the solitairesetting is the most affordable and is available in many variations. From Victorian to Art Deco, the antique look is very popular. There is a huge range and variety of styles to choose from, but within the antique style, craftsmanship is the key. 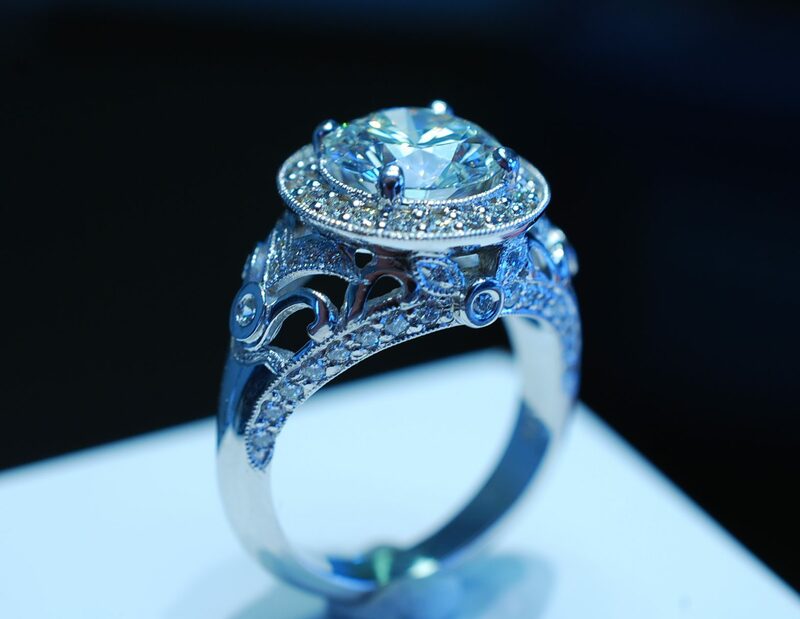 Many settings are new designs made to look old and many are replicas made from molds of actual antique rings. Engraving is always an important element. The most common metals are platinum or 14 or 18 karat white gold. For something truly unique, consider adding natural gemstones to your setting. Gemstones add color, style and personal flair and can tastefully complement your diamond. Sapphires have long been favorites for their rich blue color but are increasingly popular in pinks and yellows. Rubies are, of course, red and tsavorites are a beautiful deep green. The contemporary classic three stone ring is available in all shapes and sizes. 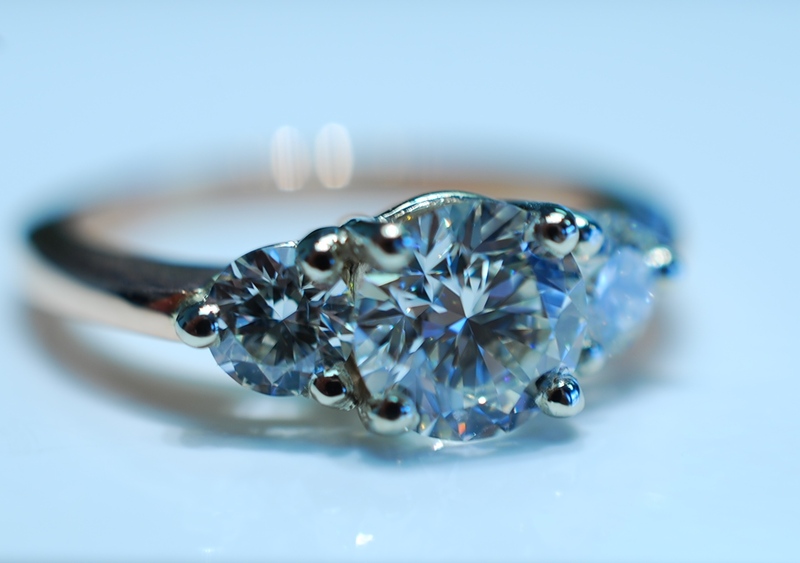 The diamonds are often said to represent the past, present and future. Usually the center stone is twice as big as each of the sidestones. For example, a 1 carat center stone is matched with two .50 carat sidestones, producing a 2 carat total weight ring. 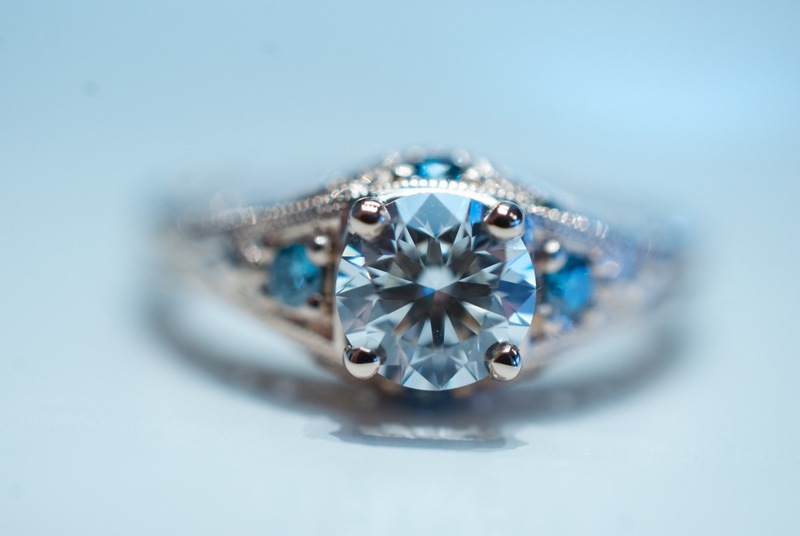 We will work with you to choose three matching diamonds to fit within your budget. Round brilliants, princess cuts, cushion brilliants, asschers and ovals are among the most requested.